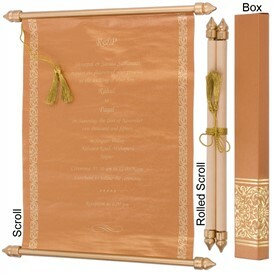 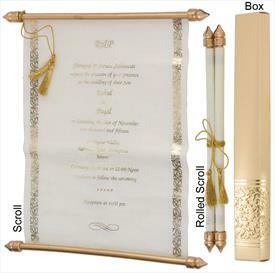 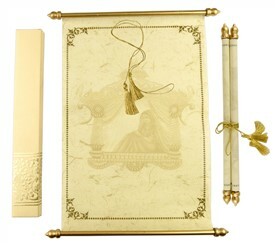 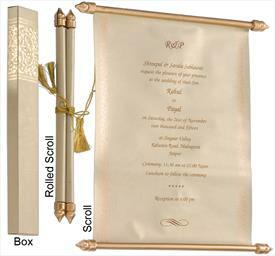 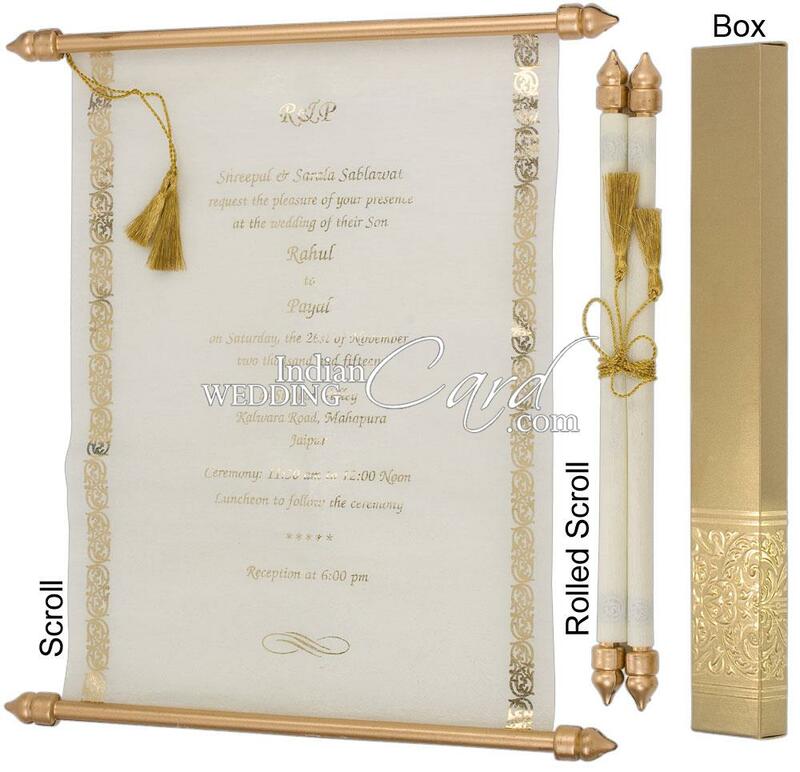 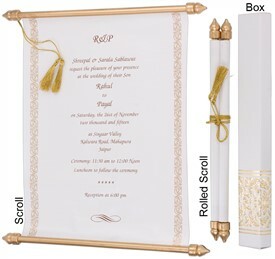 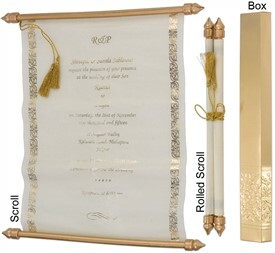 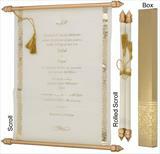 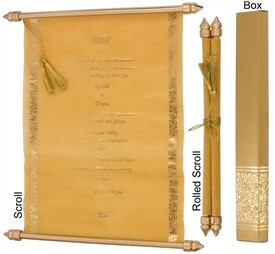 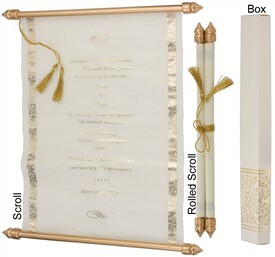 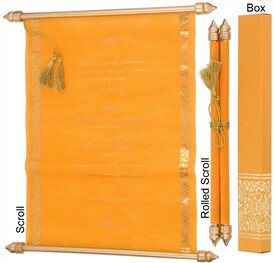 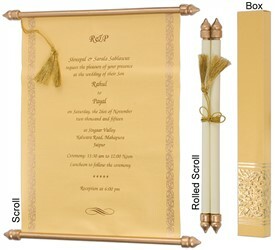 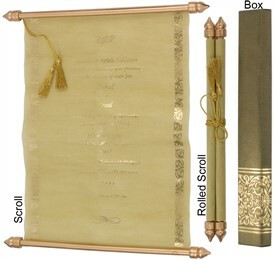 S921, Gold Color, Shimmery Finish Paper, Scroll Invitations, Jewish Invitations, Box Scrolls. 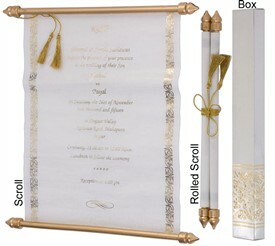 This invitation is a cute size box with a scroll. 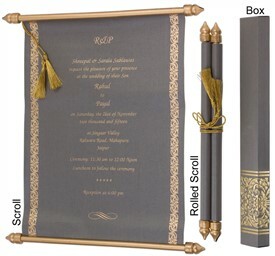 Box has golden ornate design in hot foil stamping. 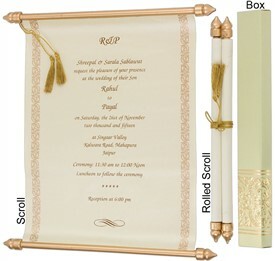 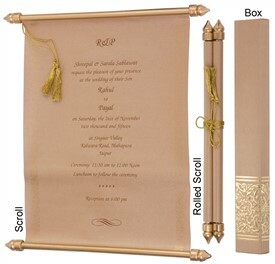 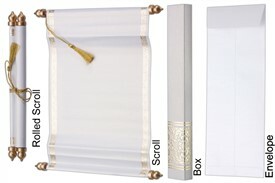 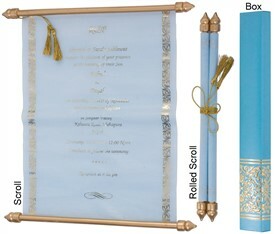 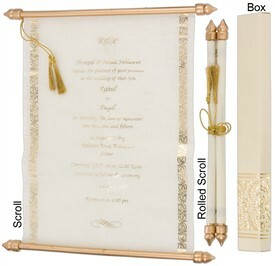 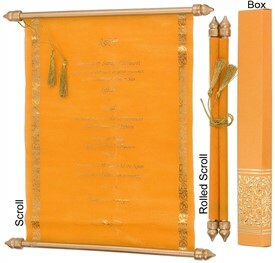 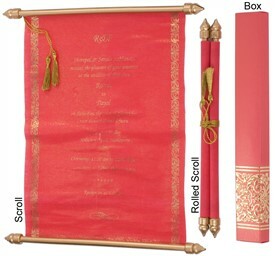 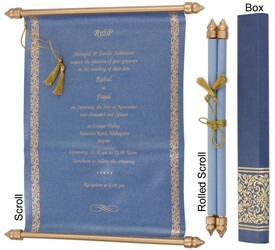 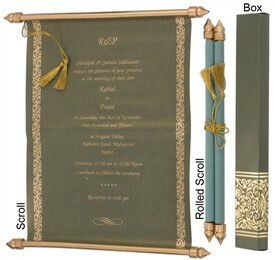 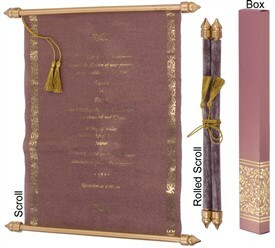 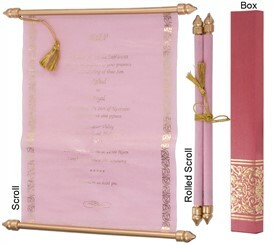 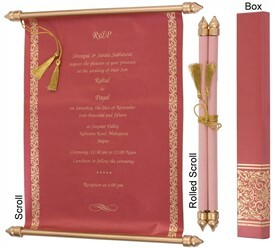 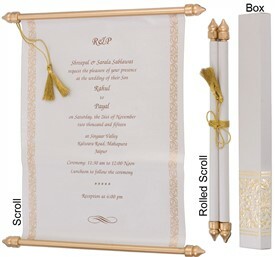 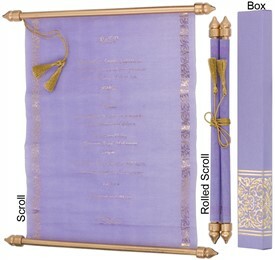 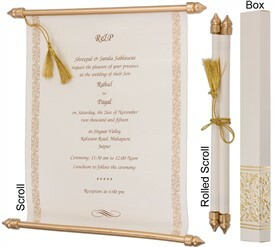 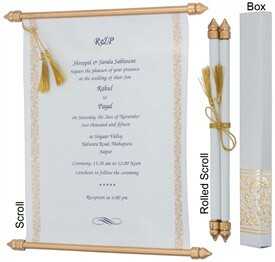 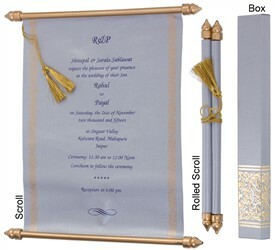 The scroll has customizable as well as optional golden hot foil border on the edges. 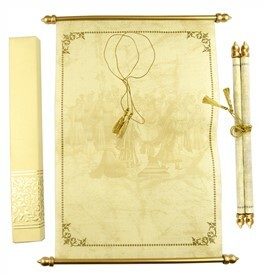 Golden bars and gold tassel give finishing touch. 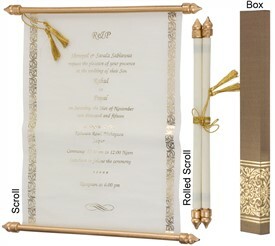 Hot foil Gold stamping or Silk Screen printing in any dark color of your choice.